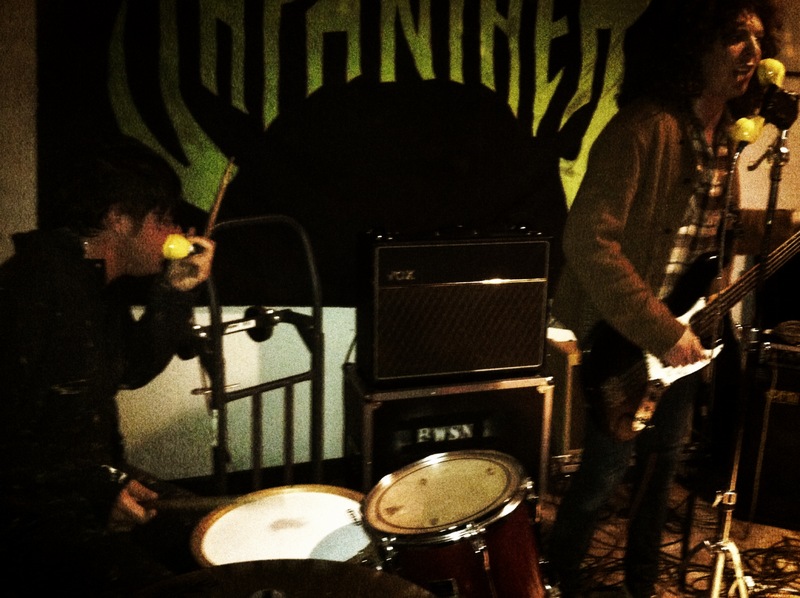 Seismic Commentary: My Wholesome 420 with Japanther by Guy Keltner. Everyone in Seattle seems to drop everything once a year for this momentous occasion. On April 20th, we celebrate all things green and currently illegal (hopefully not for long) by getting as collectively stoned as possible and praising God for this beautiful creation. I usually just use this day as an opportunity to see a good show and rock out. After attending a hazy 420 celebration on Capitol Hill involving far too many free samples to stomach, it was off to Olympia to see one of my favorite trashy live acts of all time, Japanther. For all the negative reviews Japanther gets for their thrown-together records and trashy sound, they remain a coveted band in my book. From the trashy mess that is Dump the Body in Rikki Lake to their most recent and more polished effort, Beets, Limes and Rice, Japanther has persistently carried the punk rock flame for over a decade. 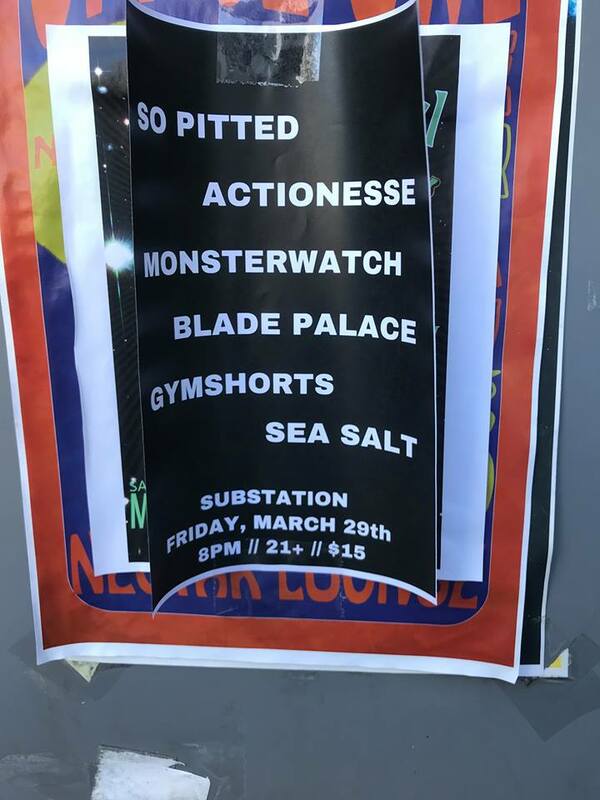 Their shows are truly the only way to experience this band, as they choose to forgo traditional fame in favor of playing dingy DIY venues and unconventional spots like the Williamsburg Bridge. When we arrived in Olympia, we parked directly in front of the mysterious venue, which was housed within a large warehouse looking venue. A blinking neon arrow sign pointing down at the door ushered us in, and we entered expecting some sort of Holy Mountain situation (byob, teenagers smoking in doors, etc). This was not the case. The scene here could not have been further away on the spectrum from the 420 party back on Capitol Hill. This was a true all ages show. The crowd seemed to be anywhere from age 1 to age 50. This dude literally had his infant strapped to his chest, sporting a set of those shooting ear muffs that rivaled the size of her tiny head. There was to be no smoking inside the venue, and absolutely no consumption of alcohol according to the door staff. Thank the heavens for the smoking tent behind the stage. As Japanther was preparing to take the stage, a three-year old girl, also sporting ear muffs, walked up to the drummer Ian Vanek’s set and snagged the drum sticks. She began pounding out a beat on the floor tom, and bassist Matt Reilly took this opportunity to enjoy an impromptu jam session with a toddler. It was a beautiful moment. Since the crowd could not have been more than 40 or so people, I was not expecting a high energy set. I was dead wrong. The band got off to a fairly laid back start, but once the fans started acting a little more punk rock and bouncing around, things got increasingly more intense and awesome. They ripped it up, playing favorites from their entire discography. I was not disappointed. Opening with “Wasted Day”, the band made their signature quips about hating on the police, posers, and keeping kids off drugs. Part comedy duo, part punk rockers, I laughed nearly as much as I danced during their set. If the crowd and band seemed subdued at first, the show took a stark change for the epic when they dropped “She’s the One”. Nearly everyone in attendance seemed to know the lyrics, and Japanther’s telephoned shouts were drowned out by the audience’s own. Other highlights included “The Dirge”, “Challenge” and “Spread So Thin”. They took every opportunity they could to psyche the audience out by starting a song and stopping it two or three bars in, resulting in a series of more and more hilarious exchanges between the duo. And, in their signature ridiculous fashion, the closing song was the same as the opener. And it sounded just as kickass. I love to share information that I have accumulated with the calendar year to assist improve team efficiency.